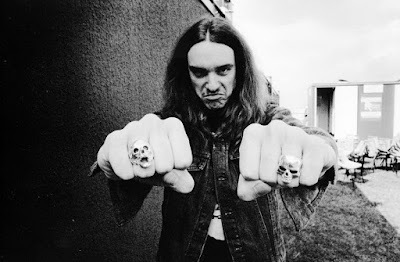 Metallica are streaming a February 10 performance of the “Master Of Puppets” instrumental, “Orion”, at Pala Alpitour in Turin, Italy as a tribute to their late bassist Cliff Burton on what would have been his 56th birthday. Formed in Los Angeles in 1981 by drummer Lars Ulrich and guitarist James Hetfield, the pair pursued Burton after seeing him in performance with his band Trauma at the Whisky A Go Go on the Sunset Strip in late 1982; they famously relocated Metallica’s home base to the San Francisco Bay Area the following year on Burton’s request as a condition of him joining the lineup. Burton was featured on the group’s first three albums; they paid tribute to their fallen bandmate with the 1987 release of the “Cliff ‘Em All” video package.